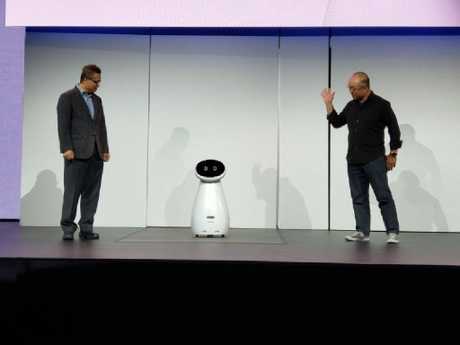 Samsung has launched a range of robots that would help people in their homes manage their health, track their sleep and call for help if you have a fall. Akin to a modern version of The Jetsons' loyal robotic maid, Rosie, Samsung Bot Care takes the form of a white robot on wheels. The tech giant told the Consumer Electronics Show in Las Vegas that its move into robotics came about because of a desire to use artificial intelligence to target societal challenges. By placing your finger on the robot it can read your blood pressure and heart rate in a matter of seconds and tell your whether it is normal or not. 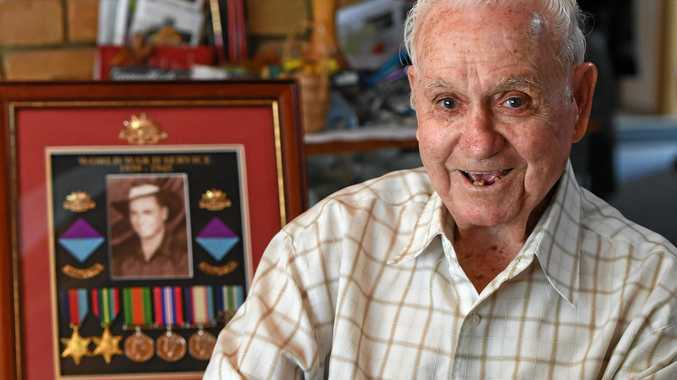 The robot, which would be especially helpful for the elderly or those with chronic health issues, also tracks your daily medication intake, your sleep patterns, and can call Triple-0 if it detects that you have fallen in your home and can't get up. In addition, your family can check in on your wellbeing even if they are far away. Samsung Bot Care was one of a few AI advances that Samsung revealed in Las Vegas. It has also developed Samsung Bot Air, an air purifier which can detect the source of air pollution and neutralise it. Samsung Bot Retail streamlines ordering and paying of products, while Samsung Gems is a mobility assisting exoskeleton that appears to be targeted at athletes. The South Korean company has not released a date when the robots would be on sale or an estimated price point but it is expected to be a while off yet. 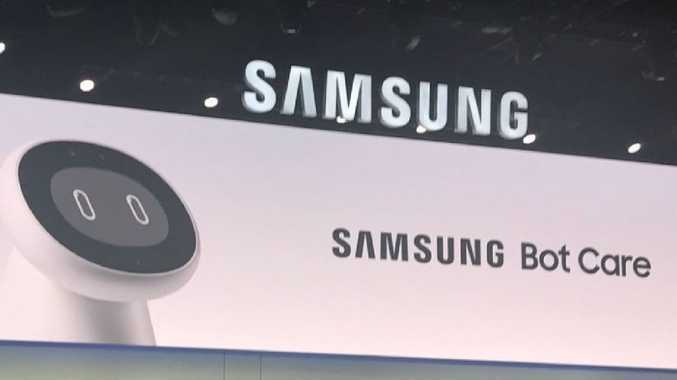 Samsung has showed that it is serious about AI and will spend $US22 billion ($A30 billion) on artificial intelligence by 2020, and it has opened seven AI centres around the globe. 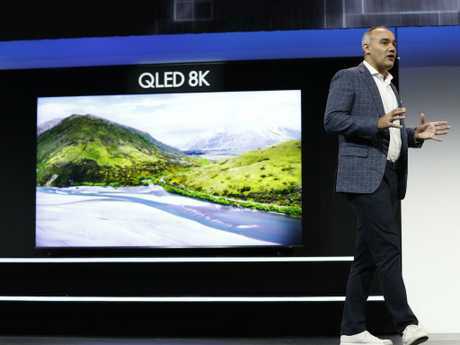 The robotics announcement was something of a surprise as Samsung unveiled a number of other items the crowd was expecting, including the launch of its largest QLED 95" 8K TV. The new model adds to Samsung's previously announced 65" (165cm), 75" (190cm), 82" (208cm) and 85" (216cm) models. Dave Das, senior vice president at Samsung Electronics America said "sales of Samsung screens over 75" (190cm) have more than doubled in the US over the past year." "Whether a viewer is watching content through a streaming service, set-top box, HDMI, USB or even mobile screen mirroring, Samsung's proprietary AI-based technology can recognise and upscale any content, regardless of the native resolution, to near pristine 8K quality. This is Samsung's smartest and most powerful TV yet." "I am happy to announce starting today select 2019 8k TVs will be available for pre-order in the US," Mr Das said. Samsung also revealed its Notebook 9 Pro features a 13.3-inch (33cm) full-HD display. The Notebook 9 Pro allows for faster data transfers and a 55Wh battery, which the company claims supports fast charging and could drive up to 14 hours of usage on a single charge. Like the previous two years' Notebook 9 laptops, the Notebook 9 Pro supports the Active Pen stylus. Samsung is including the Active Pen with each Notebook 9 Pro. There is no word on the pricing of the Notebook 9 Pro, but that should be revealed soon as the company is targeting "early 2019" as its shipping date. This reporter travelled to the CES in Las Vegas courtesy of Samsung.